After a recent visit to a charity shop where I paid just £4.99 for a mint condition copy of A Game of Thrones The Card Game by Fantasy Flight Games, I decided to push my luck and hit all the charity shops in another nearby town to see if I could have similar success elsewhere. Deep down I knew I wasn't going to have another lucky find like my Game of Thrones score, my luck doesn't run like that; but when I went into a charity shop and saw a copy of The Pillars of the Earth, for a fleeting moment I thought I had struck gold twice in a row. Another big box board game based on an incredibly popular book, apparently complete, and priced up at just £2.99! I had read some pretty solid reviews about The Pillars of the Earth, a worker placement style Euro game in which players attempt to contribute to the construction of a cathedral; so I grabbed that box as quickly as possible and dropped my payment without stopping to check what I had purchased. It was only once I got home that I realised my terrible mistake. I hadn't purchased a copy of the well respected worker placement game. 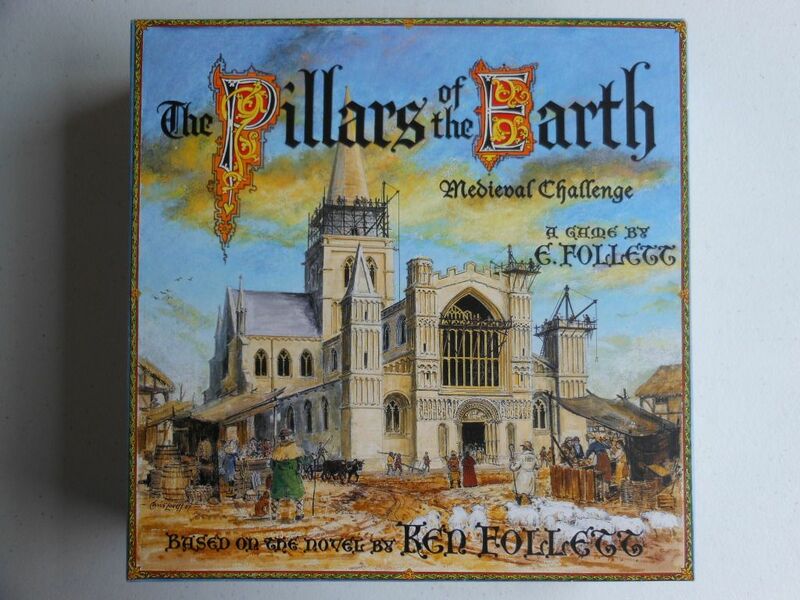 I had purchased a copy of The Pillars of the Earth Medieval Challenge which is, quite depressingly, a trivia game. The aim of the game is to move around the board answering questions on (a) medieval history or (b) the book on which the game is based. Correct answers will allow you to contribute to building the monastery. I've basically just bought a copy of Trivial Pursuit (a game I can't stand), except this is a version that only contains questions I have absolutely zero chance of answering. So, there's a lesson to be learned there. When you are shopping, always take a moment to think about what you are doing. Take a calming breath, and make certain you know what it is you are buying. At least the money I spent went to charity: That helps me sleep better. 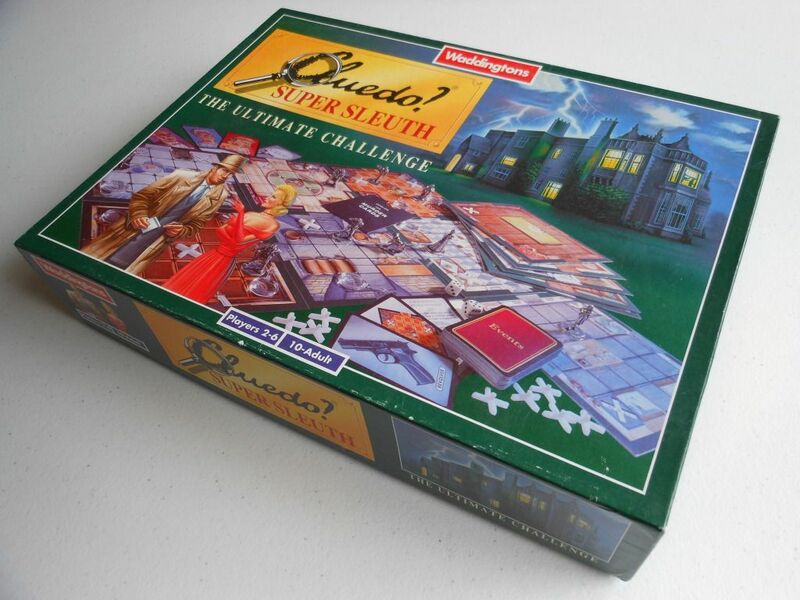 And it wasn't all bad, because I did find a fine condition copy of Cluedo Super Sleuth in the same store, also for £2.99. Everyone knows Cluedo (or Clue as it will be known to my American readers), but not so many people will know this Super Sleuth variant. 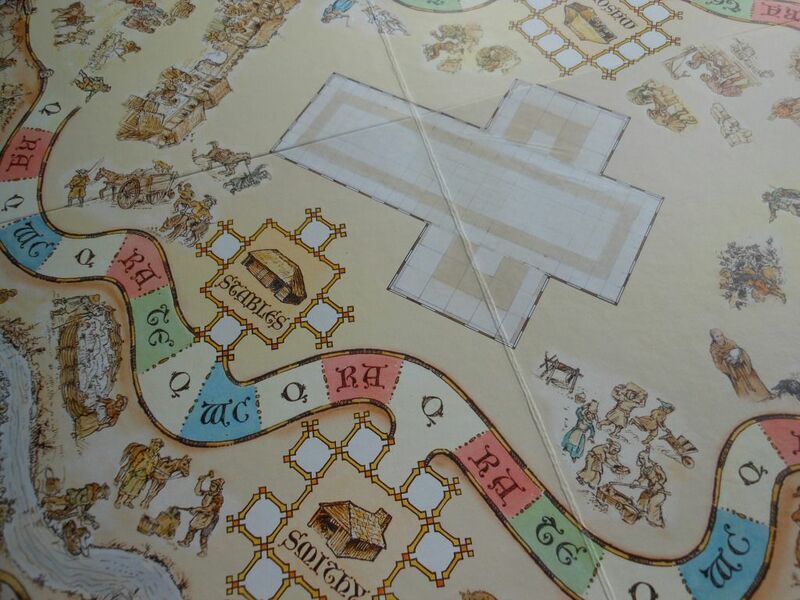 It has a modular board that players build as they explore the mansion, random events that can occur when players roll the movement dice, and helpful items that can be used to solve the mystery. 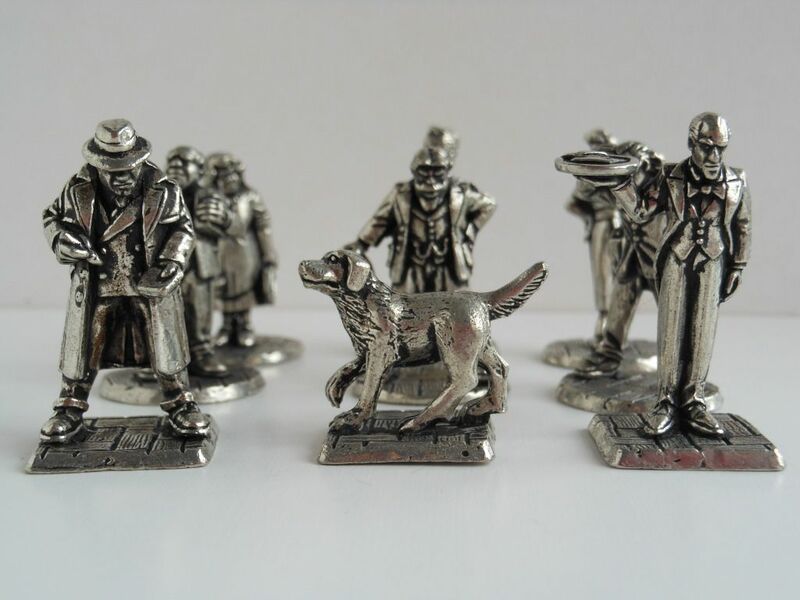 The game also includes three incidental characters: A butler, a dog, and a detective. And no, before you ask, the butler didn't "do it." These characters are activated through the random events, and can be used to block areas of the board, or to force opponents to move to certain locations or discard items they are carrying. The game is slightly chaotic as a result of the random events, and the extra items and characters; but it makes Cluedo feel slightly more like a board game and slightly less like a puzzle, which is a good thing in my book. 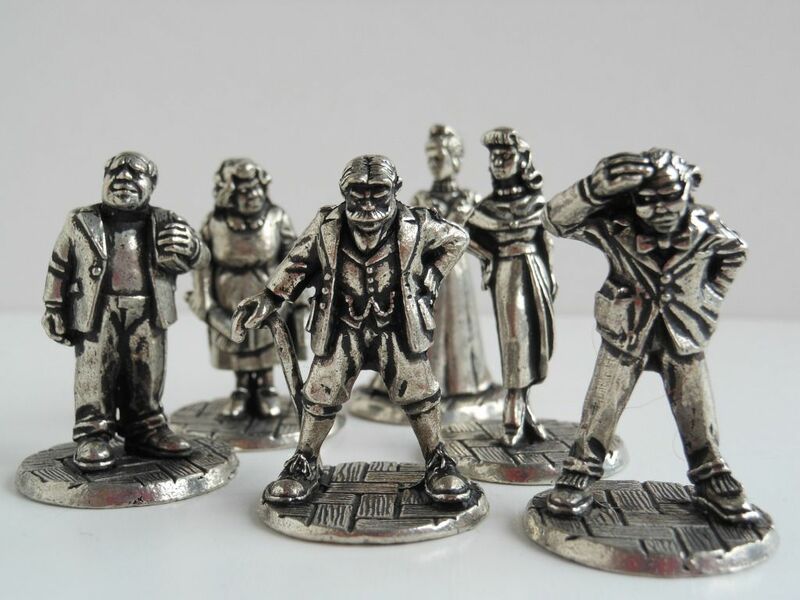 Best of all, the production quality for the game is through the roof, with all six player pieces and the three incidental characters being represented by beautifully cast pewter figures. Words can't really describe how nice these pieces are, so here are some pictures instead. I think these pieces are worth the £2.99 I paid alone, and I think imaginative gamers could find lots of uses for them. 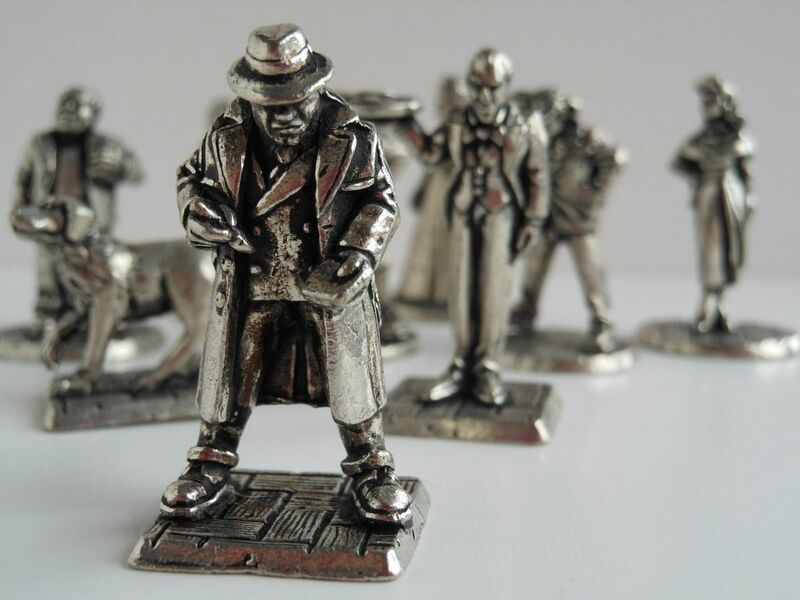 Players of the Call of Cthulhu roleplaying game could definitely use these pieces for investigators or NPCs. Overall, a mixed result from my day in the charity shops, and a valuable lesson learned that I will no doubt forget the very next next time I go out.